The first thing that caught my attention was the shape of the M-4, on the Chikuhodo’s site it looks more tapered and narrow, in real life, it’s not. Although it’s said to be only grey squirrel, there is something about the hair that makes me want to say there’s some pony in here… It is soft, but the tip of the hair has some kind of grip, I am pretty sure there is something else blended here and if not, then it’s just simply really not as soft as the other two. Amongst these 3 sisters, the M-4 is the one with the most flexibility in the hair, it’s slightly wider and it’s not packed as densely and firmly as the other two are. It’s the firmer of the three, also the denser, it just feels divine, 100% grey squirrel and of the best quality. Also 100% grey squirrel. This brush is perfection, the softer of the three, not that you can really tell a big difference with the BL 12-6. It’s also the most precise, the most tapered and slightly thinner than the BL 12-6. I had to think for a while but I still cannot pick only one favorite, I am loving equally the BL 12-6, the G-3 and the Z-5. They won’t pick the same amount of product than a goat brush, but still, I am really impressed, I never thought we could benefit at the same time from such softness in a brush together with such an efficient application. I don’t even think it’s necessary to comment this picture, can you see how perfect the G-3 and G-4 are ? The Chikuhodo lettering on these series is not written like on the other series, but instead it’s written sideways. 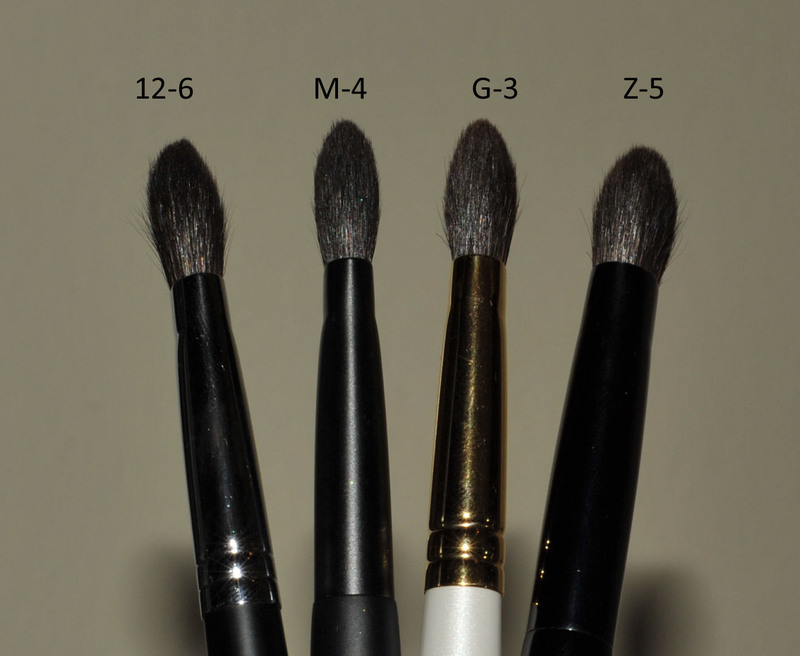 Also something that I need to add, in the pictures, I have labelled my brushes G-3 and G-4 but they are actually the “Special G-3” and “Special G-4”, the G series are the short handle ones and the Special G series are the ones with the longer handles. 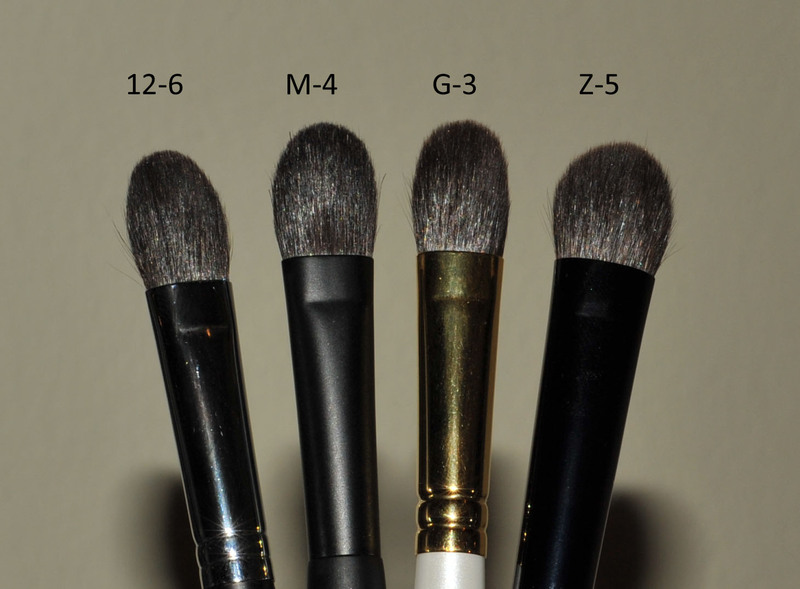 The G-3 and M-4 have these little versions of them, the G-4 and M-5, I am actually loving these little brushes, if I am in a rush and I need to quickly grab just one makeup brush, I will grab either one of these, they are small but they are big enough to be able to manage a whole look, from the base, to the lid, to the crease if necessary. A review of three Chikuhodo big sisters : BL12-6, Special G-3 and M-4 was last modified: December 16th, 2013 by Sonia G.
Oh my. They look gorgeous. Sonia, do you ever want to just sit alone with them and pet them/stroke them?! I’m sure I would if they were mine! Another brilliant review. I’m seriously considering the M-5 as I’d like another smaller brush but one that’s capable of picking up a decent amount of product. You are very bad! I’m waiting for the Z-5 though before I commit to any others – and for the type of looks I do, it’s not necessary to buy more. Doesn’t stop me wanting them! Thanks again for your posts, as always! Oh, if you don’t mind, I wanted to give a shout out to Buggsiebie for being so amazing and sweet for shipping over my Ellis Faas order! You won't regret the G-3, and you definitely won't regret the 12-6, both are insane ! Buggsiebe is amazing I totally agree !! Heh,heh,heh….changed my mind. I’m just going to KEEP it!!! Okay then, I was second…..:( in my defence though, it was almost 5am here and I was just about to sleep. Sigh, sigh, now back to deciding between G-3 and 12-6! I can’t wait to get my order! 5 am ? do you work at night or is it by your own choice ? I am literally dead as soon as the clock hits 22pm, I don’t know what I have these days, I feel exhausted! I think I need a holiday ! But then I slept in until I had to wake up to go to work! I wish my holidays would come sooner! Good luck then !!! you must be exhausted, get some rest, still a few weeks before holidays ! Love it! I have the M4, and the 12-6 is on my waiting list! I do love the M-4; I think its cut is quite unique – its edges are so fine. We will soon be able to talk brushes in person 😛 so coool !!! 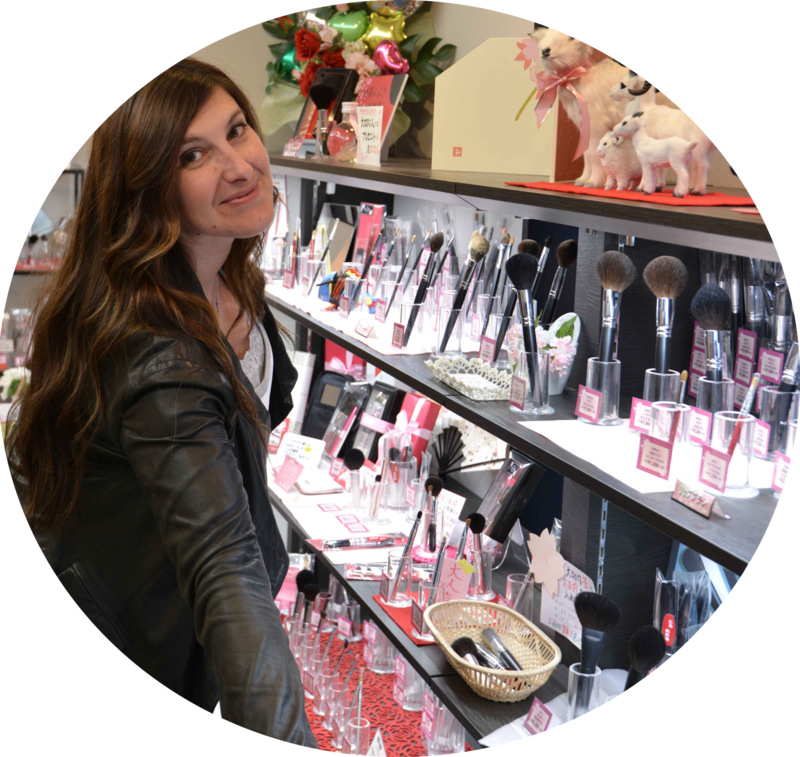 Sonia, You are truly a Master of brush knowledge! I was just wondering with these in terms of having one brush to start with I know you’ve said elsewhere that the hakuhodo s121g is very versatile. Would you say the same for the g3? You suggested I get tge Mac 239 as just starting but in Australia we pay such high markups on Mac so was looking for a hakuhodo or chikuhodo that I could get instead. I will definitely add more brushes in the future. So just looking for a good starting point. Also I was wondering of you could recommend a good concealer brush. I need one for under eyes and spots I have quite a thick concealer the artdeco camouflage that needs a fair bit of blending I also have a more liquids concealer from smashbox I tend to use both depending on day and area. Thanks so much in advance for all your help. Hi Becs, yes absolutely, I find the G-3 even more versatile. I don’t think there is another brush that could replace the Mac 239 for packing a shadow nice and heavily on the lid and I still think it’s a must have and worth every penny, I just could not live without it, I have many shadows that I love but that require a stronger packing brush and there are many products that I would not be able to use if I didn’t had it. A Hakuhodo J242G would be my next choice, then a G-4 or an M-5. You could start with the J242G and then if later on you feel more confident and you want a heavier application, go for the Mac 239. The G-4 and M-5 will not deliver such a stronger coverage and they will work best with more pigmented shadows, unlike the Mac 239 (or H. J242G) that will basically work with any shadow. If you need to blend a heavy and thick concealer you could pick the J125R which is divine for that purpose (and that can also work for thick cream eyeshadow application). 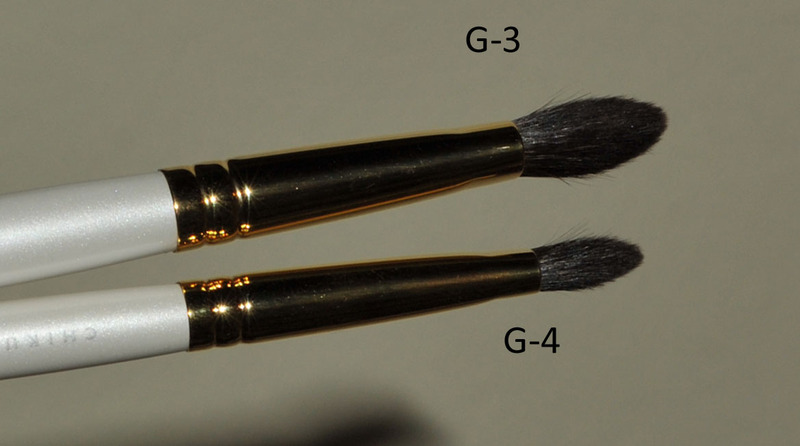 If you want to cover small spots you can use either a soft pointy lip brush or a nice concealer like the Hakuhodo G538. If you have very large areas to conceal (or that you want to highlight), I will recommend you the J4005. Thank you so much for all your help I think I will go with the j242g for now and then down the track get the g3 would this make sense? I will definitely get the j125r for concealer that sounds good. 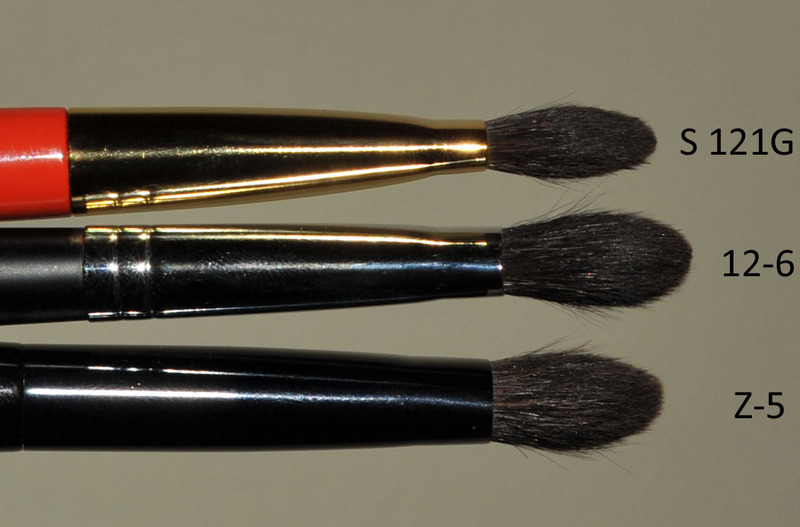 For the lip brush for concealing blemishes would the koyudo lip brushes work I think they are mink? Or would I be better with one of the lip brushes from hakuhodo. 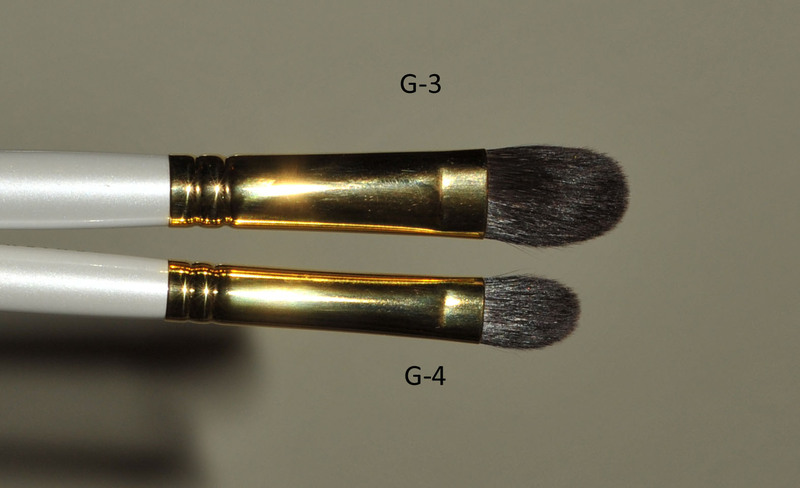 Also in regards to koyudo the Fu-pa 2 do you think this is a better brush than the Haluhodo g5557 for applying liquid foundation? In saying that I am tempted to get both as with washing am going to need more than one so I could alternate and see which I find better. 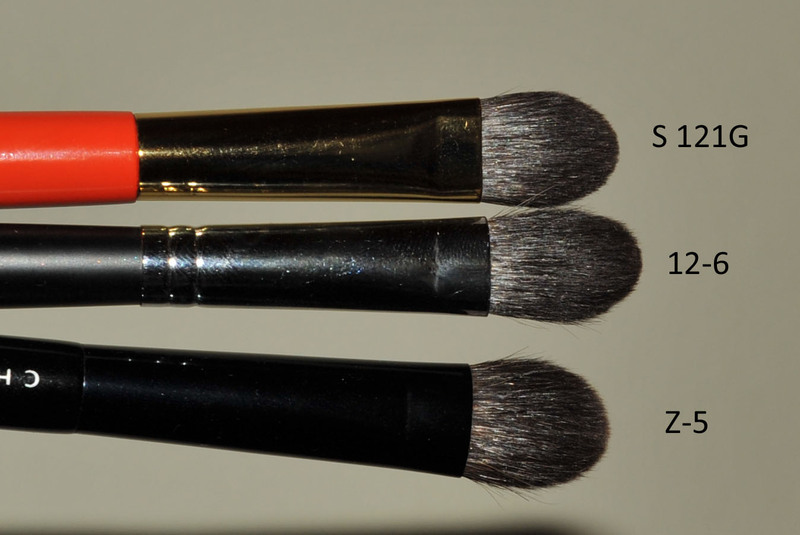 How often do you wash your liquid foundation brushes? I know hakuhodo say to wash the brushes sparingly but was wondering if this more refered to the powder brushes? Thank you for all your advice. I think to start I will get the hakuhodo j544, the j125r, the j122r, the j242g the kokutan LAG, the g5557 and the koyudo fu pa 2. 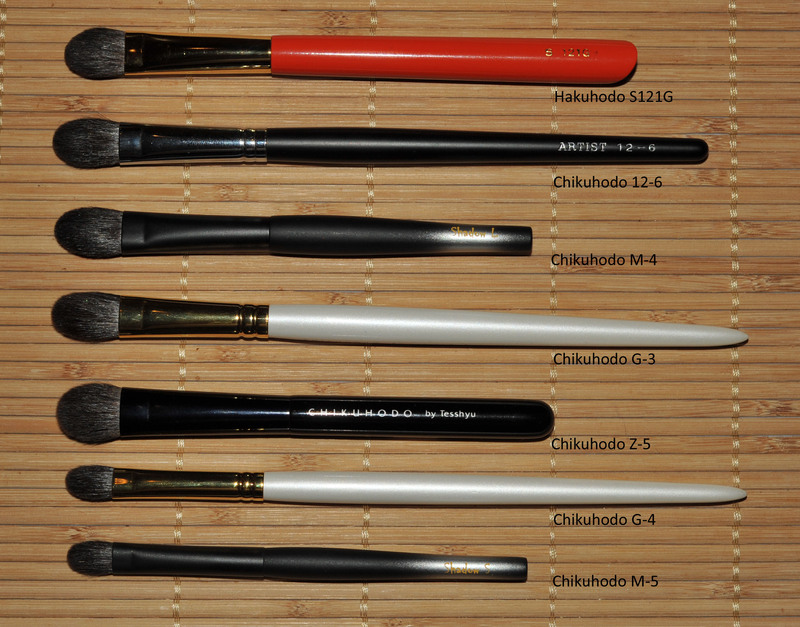 Then eventually the g543, the chikuhodo g3, z4 or 8, and the j116 or the Z2 and more eye brushes once I play around. Maybe I need to cull a bit. Also have you tried the koyudo heart cleansing brush I love skin care and the video was quite inticing not sure it’s something I need but I was just wondering if anyone has tried it? Thanks again Sonia. I hope I’m not bugging you with all my questions. I am glad you are starting to find your future brushes 🙂 and yes, it totally makes sense. If you don’t have already a lip brush laying around, then pick the small Hakuhodo concealer G538 for example, I was suggesting a lip brush if you did not want to get one specially for concealer, I would advise you to go Hakuhodo, I know they are soft (unfortunately I don’t know any Koyudo concealer) and it’s important that if you use a concealer brush, that is really soft on the delicate skin around the eyes. I am not able to tell you which one I prefer from the Fupa or the G5557, I love both equally. 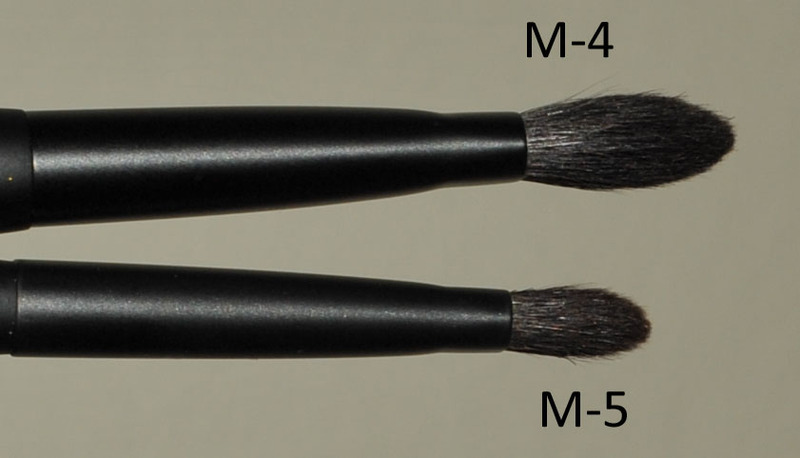 I would use the G5557 if I want to cover a bit heavily the redness and pores, if you use it in a stippling motion it will be great for that for example but both brushes are fantastic (but not as good as the Radiance…). Actually I think everybody should (ideally) have two foundation brushes so that you can wash one and still have one that you can use. Hakuhodo are talking about powder brushes. Foundation brushes, in my opinion should be washed really often, mainly the Fupa, the denser the brush the more often you will need to wash it. I am lucky to have several brushes but it’s also because I cannot use the same brush more than twice, maybe it’s psychological but if they are not clean, I tend to have break outs so it will also depend on how your skin will react. Bottom line, I don’t wash my blush brushes often but my foundation brushes yes, very. Even though I have so many brushes I still have a long wish list… how can that even be possible ! Hi Sonia, thank you for your review of the 3 sisters. It really helps when you provide such great descriptions and clear close up photos! I was curious to see how the gray squirrel 12-6 would differ from the blue squirrel Hakuhodo brushes so ordered it but in a shorter length. Can’t wait till it comes. Hi Kay, let me know what you think of them ! Hi Sonia, got my brushes and wanted to provide feedback. I’m impressed with the 12-6 brush and Chikuhodo (and Suqqu) brushes in general. What surprises me is that there are noticeable differences between blue and gray squirrel hairs. To me, gray squirrel hairs seem thicker, straighter, glossier and darker. 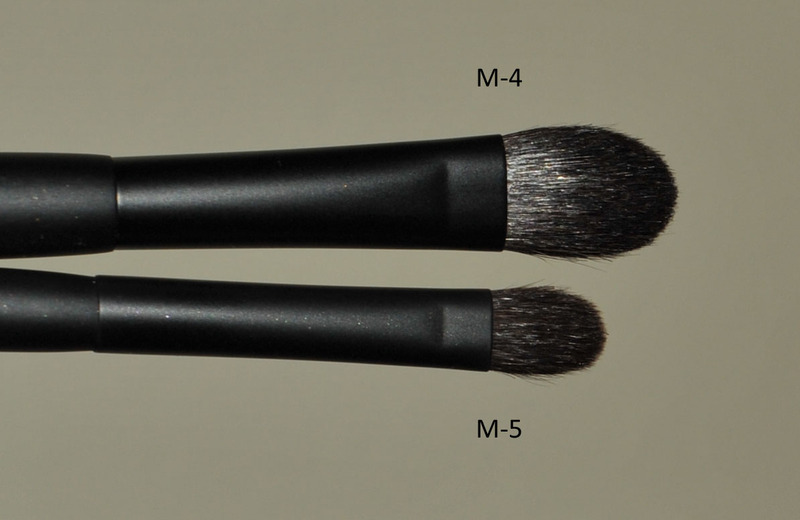 Gray squirrel brushes feel more slick on the skin and have more resilience and bounce. Both types of squirrel perform well and I think it comes down to personal preference but I like the gray squirrel a little better because of its smoothness, gloss and bounce. My least favorite squirrel is the pine squirrel because the hairs are variegated and slightly scratchy. It performs well but I don’t care for the mottled look and scratchiness. Of course, I am generalizing as I am sure there are grades and variations within each type of squirrel. Also, the feel is impacted by the thickness and length of the brush, how tightly it is packed, shape and size. I think those of us who buy a lot of brushes get spoiled after a while. A brush that seemed perfectly fine at first feels scratchy when we find something softer! Hi Kay, thank you for the feedback ! I love it ! I think you haven’t tried red squirrel… it’s even softer than grey squirrel, difficult to believe isn’t it ? I have only one red squirrel brush so I cannot say it’s a general statement but I am really happy with it. We do get spoiled for sure and one day we start to think that it’s enough, we saw it all, but then Chikuhodo, Koyudo or Hakuhodo come with more wonderful new brushes ! A scratchy brush is not necessarily bad, as long as it does not hurt, I am very happy with it. I remember being in a makeup training course some time ago and the girl used a blush brush on me that truly hurt and I was very close to shout at her 🙁 she was buffing my cheeks like a wild cat, felt like claws on my skin. As long as it doesn’t hurt and it does its job, we don’t need to throw them away, I have some Koyudo brushes that I didn’t like at first (not that soft) but now I am using them and enjoying them as well. I certainly will share my opinion! This is slightly off topic but I would like to purchase a gray squirrel Suqqu M brush as well as 4 Suqqu eyeshadow palettes I could not find in Japan from Selfridges, London, the only place in the world I know of that still have these palettes. Since I have no UK address (live in USA) I was thinking of using UK Brands Worldwide, a forwarding service. Was wondering if you had any experience with this or any other forwarding service that ships out of the UK. Also, I’ve read that Royal Mail is not that reliable so was wondering if I should go with UPS. I have experience with forwarding companies in the UK, I can send you the info tomorrow if you like ! Thank you very much for your kind offer, Sonia. Perhaps a month from now will be a bit too late and sometimes things are not in the store but are online and vice versa. That being said, I would appreciate information about forwarding companies as this is the first time I would be using one. Selfridges does ship internationally. Bellow is an except from their site. If you call that number you must just asked to be put through to the Suqqu counter. I have ordered Suqqu often from Selfridges and have a contact name + email if you are interested. She is responsible for Suqqu at Selfridges & is super efficient. Selfridges shipping fee is not cheap but it is fast. Please get my email address from Sonia if you would like me to give you the contact deatils as I don’t want to post her private address here. We are sorry but we do not deliver online orders outside the UK. You can, however, place a telephone order to the store for international delivery. Call our Customer Services team on +44 113 369 8040. Hi Buggsiebee, yes, I would like to email your contact person and if I can order from her directly via email it would be nice. One blogger mentioned that it cost her $75 to ship to the USA so was afraid to try that route but perhaps your contact can give me a better idea for what I want to order. Shipping via UK Brands Worldwide would be about $53 (4.95 pounds from Selfridges to the forwarding company + 15 pounds service charge + 13 pounds Royal Mail), a pretty pricey venture anyway. Thank you for your help and Sonia, if you can email me Buggsiebee’s email, I would appreciate it. Hi Kay, I have a contact based in Japan who can directly ship to you if you want. I don’t know how much shipping is, and I’ve heard that Suqqu is cheaper in UK than in Japan. And as you said, you couldn’t find these palettes in Japan either, but maybe she can help? If you tell me which palettes you want, I can ask. If they charge the full shipping fee it will be about $75,- but it is shipped express with DHL/ UPS so that’s a good thing. Not so much waiting & praying that it will arrive soon…or at all. I have had shipping rebates in the past though so maybe you will get lucky. I also plan to order some Suqqu today so i will let Tiziana know that I have given you her email. For example for me they would remove the vat before payment but I will have to pay the taxes here at the post office. Thank you, ladies, you are all so helpful! 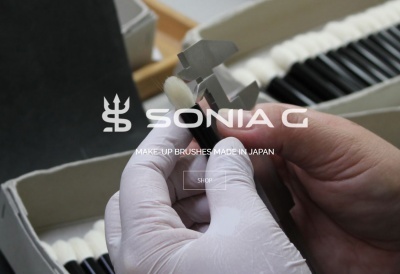 Bonnie, I think I will try contacting Selfridges first as I looked for these palettes in Fukuoka, Hiroshima and Osaka earlier this month and none of the Suqqu counters carried the old palettes 01-06 (I want 01, 02, 03 and 06). But I appreciate your offer. Buggsiebee, thanks for confirming the shipping cost — I think I can swallow that as each palettes cost $19 more in Japan than the UK and $35 more at Ichibankao… if they were available there. Wish I had gotten them sooner but I didn’t know about Suqqu until fairly recently. Just saw the new holiday palettes online and they look too glitzy to satisfy my lemming. Sonia, would like to hear more about forwarding companies in a post or email if that is something you feel comfortable writing about! No worries, she says she can probably get 01 and 06 if you want. BUT at about US$95 ex shipping, compared to… 45GBP at Selfridges, right?…which is around US$70. Since you’re ordering that many, you might as well get them from Selfridges since it’s flat rate $75, perhaps less! Kay, did you see Drivel about Frivol’s swatches of the Holiday palettes? Yes, I did! The colors are pretty but her descriptions lead me to think that these palettes would not be as flattering than the older ones which include some matte and satin textures. I have 08, 09, 11, 12 and EX 07 and they are quite shimmery and these holiday palettes seem like they are even more metallic/shimmery. I like Suqqu’s shimmer but I don’t want all the colors in a palette to be blingy! A flat rate? Hmm, maybe I should think about including some other products…Christmas is coming soon and I’m my own best Santa! I’m looking forward to Black Friday and Cyber Monday and have already started a list. Thank you again so much. Two more questions then I promise I’ll leave you alone for a while I just went to put my order in and noticed that the 122r and the 125r seem similar just different size. I was going to get the 122r for highlighting and the 125r for concealer but now I’m wondering if I’d be better with the j214 for the highlighting to give me more variety in the brushes. What do you think? The other question is re washing them. When you say you wash them after every second use is this using a brush cleanser, baby shampoo or the wool detergent like they suggest? Or is the wool detergent just for deep cleanses? Also with your cream blush brushes how regularly do you wash them? Also have you tried the Daniel sandler watercolour blushes? Sorry that was more than 2 questions. Thanks so very much. Sorry for the boring questions. I would take one of each, for example the 122r or the 125r (depends if you want the small or the big one) and the j214, because the j214 is way too cute to pass… it’s really dense and efficient for precise highlighting, or for eyeshadow blending… or also concealer…. you will see that they are really versatile. If they are not too dirty I just use mild soap, when I use cream or products that stain I use the masters brush cleaner and preserver, I just got it recently and seems to be working well. I clean the brushes I use with cream products after each use, but you can just easily wipe them with a towel (some use wet wipes instead). Sometimes I just spray some brush cleaner on a towel and wipe the bristles with it. I can’t use a brush that is dirty so I will briefly clean them after each use and will deep clean every week. Yes I did try the Daniel Sandler blushes, I love to use Dena’s technique since they are so pigmented, after I apply my foundation I mix a little bit of liquid blush with some foundation and blend on the cheeks, it’s an amazing and flawless finish. Awesome thanks so much Sonia. Can’t wait to get my brushes! You’ve said that the ferrule width for the M-4 is 2.1cm and the Z-5 1.3, but the Z-5 looks a lot wider in your photos. Is the M-4 definitely wider? I just wondered what your thoughts were! I am so sorry 🙁 sad face.. Yes I confirm, I love the M-5, much more than the M-4 (that I find less soft). The M-5 is nice, soft and yes it’s firmer than the S142. Same for the G-4, they are very similar. It is small but as I said I can do everything with it. A little gem worth every penny ! The shape looks very interesting indeed, I wonder if that is the final and real shape, if yes, it’s definitely one I would purchase ! Hi. I like your blog. After reading your review, I am very interested in trying Chikuhodo. I have never used any of the Japanese brand makeup brushes. I wonder if you would recommend the Chikuhodo M series or YP series or Y series set to try. Its for personal use. I would love to own the Z series – may need to save up a little longer for them. I would recommend you any of these series. If you have sensitive eyes try to chose blends squirrel/goat (not only goat), I love them for the ease of use and efficiency and they are more affordable than only squirrel ones. Thanks for your tip. I will probably buy the YP series set – prestige line. However, I noted I could not find any reviews of the YP series and Y series. Infact, the material use in M series is closest to Z series. Obviously the quality and method of production is more labour intensive for Z series. The material of the handles and the hair quality is better but don’t worry, I very often use the M series or the G for example and its perfectly fine. , very happy with them.